Size of Property : 1,489 sq.ft. 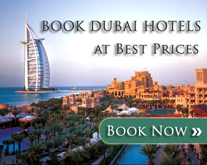 Located in one the top rental communities of Dubai. This property is very well maintained, and oozes bright sunlight into the property from the big windows. The apartment is very apt and functional for a small family or executives. It is close to metro links, gardens, connected to main highways and other transport links. Jumeirah Lake Towers, commonly abbreviated to JLT, is a sought-after vertical neighborhood. JLT is well-known for its neighborhood restaurants, shops, cafes and its affordability. Itu2019s this affordability that sees this area as being one of the top ten areas in the city for both buying and renting an apartment, with rents consistently lower than neighbouring districts. This area guide delves into the perks of living in JLT and things to consider before moving to the area. Call Reni John Travassos on +971 501888183 / 043233609 or visit www.providentestate.com for further details.